Psychosomatic facet joint pain is the root cause of many patient complaints. The structural changes in facet joints exist, but might be incidental to the pain. Patients tend to be insulted by the word “psychosomatic” simply because they do not truly understand its meaning or implications. Therefore, doctors rarely use the term and prefer to utilize words such as “mindbody”, “stress-related” or “nonstructural” to refer to pain syndromes that strike them as being distinctly lacking in evidence for anatomical causation. We at The Cure Back Pain Network were pioneers in mindbody medicine and have actively covered the topic since our inception. We have extensive experience with the theories, clinical diagnosis and treatment of mindbody health issues, but many of us also have personal histories of various psychogenic and psychosomatic expressions. Although the list is virtually endless, some of the conditions that the members of our editorial board have experienced due to psychoemotional causation include headaches, digestive problems, various forms of chronic back, neck and joint pain, heart arrhythmias, skin disorders, wrist pain and allergies. We happily share our experiences with these conditions, as clinicians and patients, to help readers to understand their universal nature. This essential resource section provides a rare look at the mindbody interactions that can cause facet joint pain. We include several topical dialogs that explore particular topics related to mindbody causation in order to assist patients in identifying these conditions and preventing themselves from having to suffer through needless treatment or surgery for conditions that can easily be resolved using non-physical therapies. If you are a fan of the literary works of Dr. John E. Sarno or Dr. Andrew Weil, then this essay will help to educate you at a deeper level on the connection between facet joint back and neck pain and an underlying psychoemotional symptomatic origin. Primary gain symptoms are the direct results of psychoemotional causation and have no underlying causative basis. Most of these conditions will occur near sites that display structural abnormality, such as regions of injury or degeneration, but do not demonstrate pathological process despite atypical structure. Primary gain pain syndromes serve psychoemotional needs for protection and act as distractions and defense mechanisms to protect the individual against sensitive repressed or suppressed emotions. The proper diagnostic term for primary gain syndromes is psychogenic, since these conditions originate in the mind and can also be cured there. Secondary gain pain syndromes have some degree of physical merit. This means that they would be painful regardless of the contribution of psychoemotional contributors. However, the mind aggrandizes or perpetuates the pain for some specific purpose. This purpose can be unconscious, such as in the cases of primary gain. The purpose may be subconscious, as in the case of depression, or even conscious, as in the cases of drug addiction or the desire to benefit directly from the illness financially or in lifestyle factors. Secondary gain factors qualify as what doctors like to call “psychological overlay”, but this term does not describe every type of secondary gain pain issue. Secondary gain syndromes are truly psychosomatic, rather than psychogenic. The vast majority of chronic and severe pain conditions are created by primary gain phenomenon, which is why doctors have such difficulty in the diagnosis and treatment of these conditions. There is no test that shows the true nature of the syndrome and only extensive clinical experience will assist diagnosticians in ascertaining the true nature of the pain. Regardless, no medical treatment will cure these problems, which explains why so many patients suffer disappointing treatment results when the underlying causative mechanism is a mindbody syndrome. Tension myositis syndrome facet joint pain is the name of the diagnosis created by Dr. John Sarno and is commonly also called TMS. Dr. Sarno mentions facet syndrome specifically in his best-selling books and tells that in his experience, most diagnosed cases are actually TMS and not any structural pathology. Knowledge therapy for facet joint pain is the best and only logical treatment for mindbody variants of facet syndrome. The therapy is completely safe, effective and can even be completely free, depending on what path patients choose to pursue. Facet joint ischemia is the underlying causative process for mindbody pain syndromes. Oxygen deprivation can create terrible symptoms in small or large areas o the anatomy, including the facet joints. 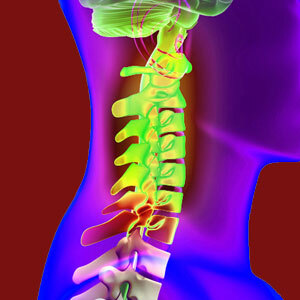 It is vital to comprehend the psychology of facet joint syndrome from a patient’s perspective. Primary or secondary gain factors are always potential contributors to many chronic pain conditions, including facet syndrome. Psychosomatic health issues are universally experienced by humans. In fact, it is well documented that the mind influences every bodily process and can cause any system of the body to functional better or worse. We have written volumes about the interactions between mind and body and only scratch the surface in this short essay. If you are truly interested in learning more about the incredibly interesting research at proves the connection between chronic pain and mindbody causation, we suggest reading these resources on the original Cure-Back-Pain.Org supersite: Psychological Back Pain and The Psychology of Back Pain. If you want to see the larger scope of how the mind creates and destroys conditions of health and disease in many different bodily systems, then please enjoy this vast trove of information: Psychosomatic Pain Syndromes. In order to truly understand the psychological aspects of facet joint syndrome, you must first be well-versed in the anatomy of the condition. Before making up your mind that your symptoms might be caused by a mindbody process, be absolutely sure to educate yourself on the structures involved and how age and activity cause them to degenerate by reading our facet joint anatomy resource section. Our proprietary pain relief program can end mindbody symptoms forever. Best of all, the program is praised by notable doctors and healthcare organizations around the world. It is safe, effective and available for immediate relief 24 hours a day.